HomeBlogHome DecorWave City Coffee Table Black Edition by Stelios Mousarris. 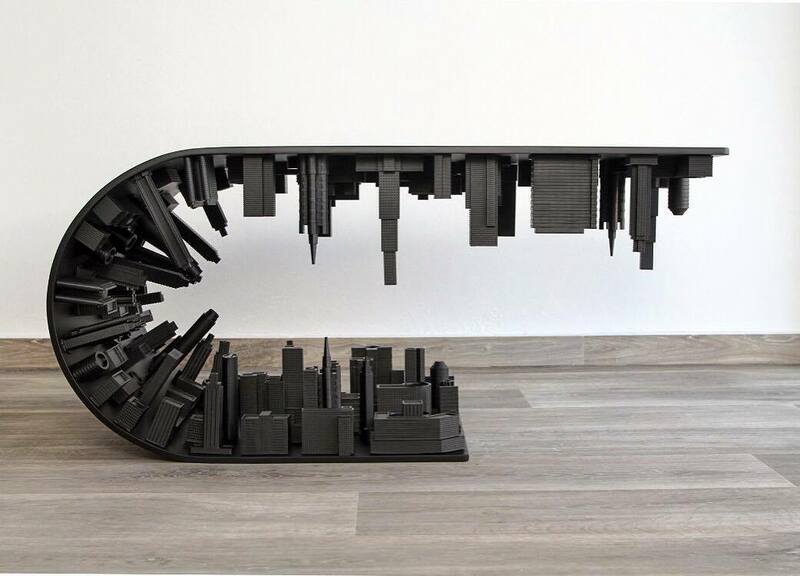 Earlier this year Cypriot designer Stelios Mousarris first presented his breathtaking Wave City Coffee Table inspired by the 2010 film “Inception”. 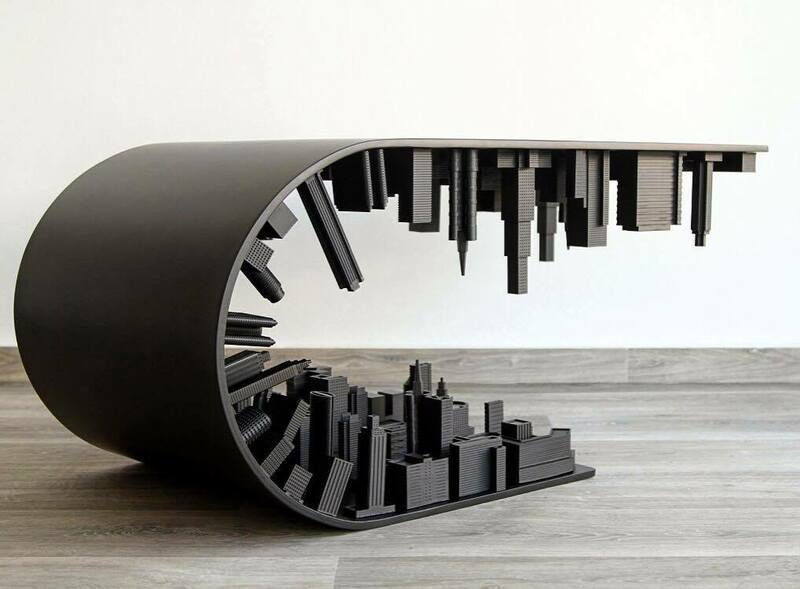 The Wave City Coffee Table was inspired by one of the most enduring visuals of the movie: the dream city bent in half to demonstrate the power of dream architects. The Black re-edition boasts a slimmer line, a sleek matte black finish and a dark allure. Immerse once more into the make-believe Wave City of Stelios Mousarris. Beyond its smooth curve lies a dark city, reminiscing of neo-noir atmosphere, filled with dramatic shadows patterns and stark light/dark contrasts. 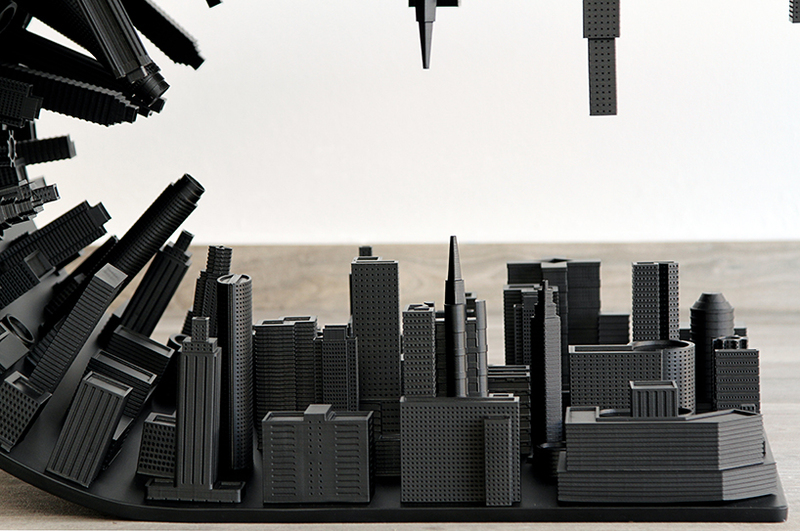 The elegant black edition features a robust steel frame allowing Stelios’ fictional skyline to rest firmly in place. 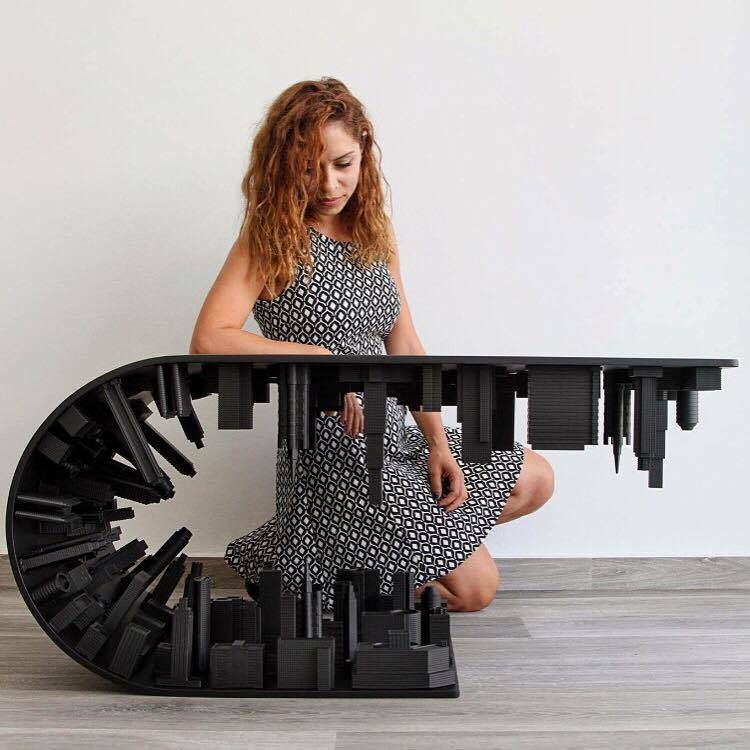 The Black Edition Wave City Coffee Table is made from wood, steel and numerous small elements created using 3D printing technology. 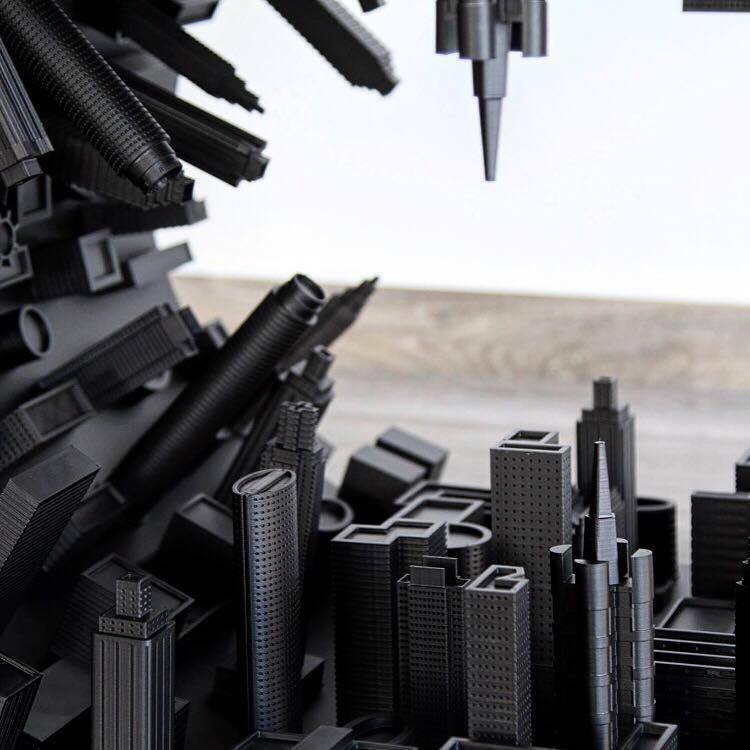 The multitude of meticulously crafted little buildings are 3D printed and add a sense of realism to the otherwise surreal design object. Each little building is assembled one at a time by hand until they all come together to form and impressive reverted skyline.